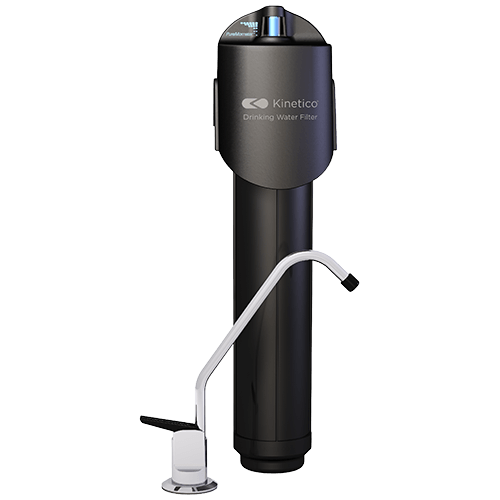 Kinetico 7500 – Elgin Pure Water Inc. The PureMometer® filter life indicator shows you how much of your 1893 liters (500-gallon) filter capacity remains. When a filter change is necessary, the system alerts you by reducing the flow of water from the faucet.